We know you're sick of punching out fellow shoppers in the aisles of the Columbia Heights Target. Uh... we meant wanting to punch out fellow shoppers. Yeah, that's it. But during holiday season, what is there left to do? Oh, wait! Let us suggest the ultimate cliche: shopping in Georgetown. Yeah, that should fix everything. But for once (for once! ), we're not even being sarcastic, thanks to the Target-to-Go location that's scheduled to pop up at the hallowed intersection of M and Wisconsin streets. From Dec. 11 to 13 (10 a.m. to 8 p.m.), the spot will offer 50 affordable, pre-wrapped(!) gifts, including toys, gadgets and items from the new Rodarte for Target line, a full week before it hits the "real" stores. Just like at McDonald's, customers can order the gifts by number and take 'em to go. The discount retailer is also trying out this seasonal experiment in New York and San Francisco. 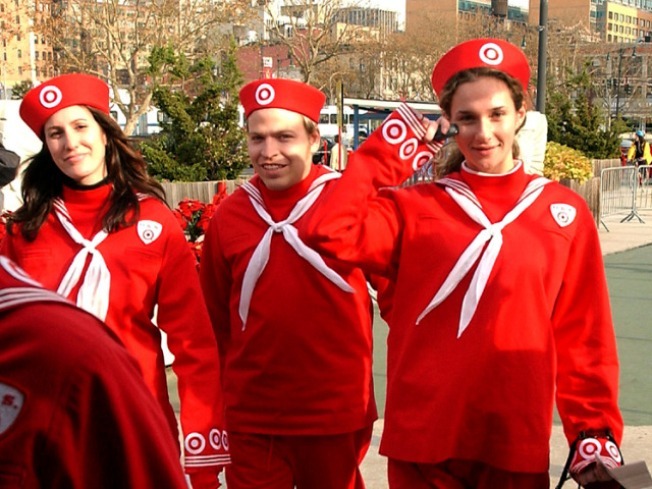 Target will also be secretly dropping 500 oversized gift tags around the city, reports MSN. For each tag returned to the Target-to-Go, the company will award the finder a giftcard ranging from $10 to $500, and donate $100 to the Salvation Army. This isn't the first time Target's tried a wacky holiday endeavor. For several holiday seasons earlier this decade, the USS Target set up shop on a 220-foot barge docked at Chelsea Piers in New York City. Good to know.